I’m sure I first played Infectonator in its flash form. 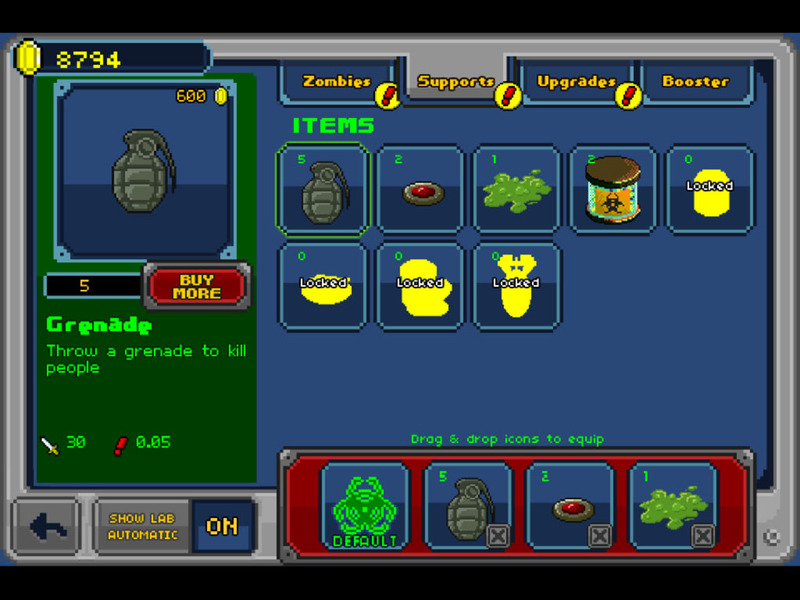 The iOS and Android version appeared to be based more on Infectonator 2. The concept is simple. 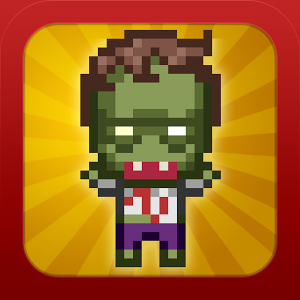 You are a mad scientist trying to take over the world with zombies. 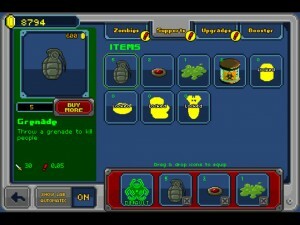 You drop your infectonator bomb or bombs on the city of your choice then see how the results play out. Initially you don’t have much else to do besides scoop up the coins dropped by the fallen. Later you’ll be able to drop in special zombies and use support weapons to keep your minions from harm. Your initial zombies are weak, slow and die fast. The bulk of the game is deciding how to upgrade your base zombies. Do you increase their lifespan, strength or speed? Or is it better to focus on infection rate to keep producing more zombies? Do you want more or tougher special zombies? It starts out easily enough with just civilian populations, but soon you’ll face cities that are more prepared. They have special units you can’t directly infect. They have police and soldiers that are trained to fight back. Eventually, you’ll even face NBC troops prepared to take the fight to the zombies. Even worse, many cities have heroes that defend them. Who are those red and green plumbers defending Pisa? Certain of your special zombies fare better against certain heroes. Each city has a target goal for casualties. Hit that and you’ll unlock the next city. However, each city also a set of performance goals. If you manage to complete all those, the city is destroyed, and you get a destruction bonus. In fact, there are a lot of bonuses. At the start, just about everything you do seems to result in a bonus. These help make up for the initial difficulty due to your weak army. Soon, you’ll be rolling along. This could have been a depressing game about global pandemic. It could have been overly gruesome. The 16 bit art style keeps the tone light. It bears more resemblance to watching an ant colony than simulating destruction. It’s great fun as a time waster if the subject matter interests you. It didn’t over tax my brain when I was sick and my head hurt. Recommended.